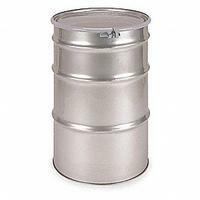 These 304 stainless steel drums with mill finish provide the best corrosion resistance, tensile strength and reusability. 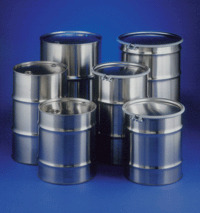 Specially designed for the shipping, storage and handling of chemicals and foods where purity and sanitation is required. Closed-head drums have 2" and 3/4" NPT plugs in head, open-head have 12-gauge bolt ring closure, sponge rubber gasket and plated nut and bolt.